“Only people from good families can recognise other people from good ones”, was his bold reply to Ayub Khan's belittling comment that he (Ayub Khan) had not seen people from good families in East Pakistan. The unexpected feedback from a Platoon Commander made Ayub's face go red and forced him to make a quick exit from the scene. Speaking his mind is an inherent quality. The courage to say no, to speak out the truth and fight for it. Quazi Noorruzzaman, the sector commander of Sector Seven could make important decisions in his life and fight for the independence of his country. 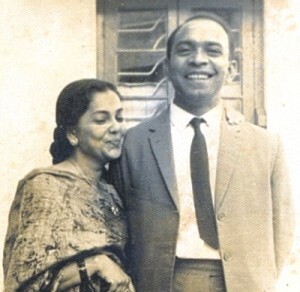 Born in March, 1925, Quazi Nooruzzaman was a student of Chemistry at St Xavier's College in Calcutta. 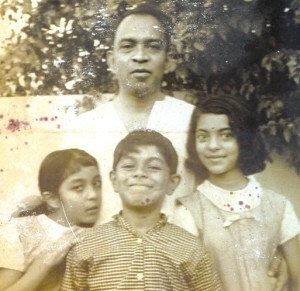 Against his father's wishes he joined the British Indian Navy in 1943. This was perhaps the first step taken by him towards the journey of valiance. He transferred to the army in 1946 at Jawaharlal Nehru's encouragement. After completing advanced training at the Royal Artillery School he got back to Pakistan and was promoted to the rank of major in 1954. War could not solve the political problems, on this observation he decided to retire from the post of an army officer, but he was persuaded to take a transfer instead. He was transferred to the East Pakistan Industrial Development Corporation and finally retired from the armed forces. “My father is an inspiration for us; his lifestyle, worldviews and judgment encourages us constantly to see the world in a new way. He is extremely idealistic and always motivates us to look beyond what we can see. I clearly remember when we were just kids how he tried to sow depth in us, he used to ask us to close our eyes and imagine 'nothingness', it is really difficult for a child to imagine this, and we tried hard to experience that emptiness using our young minds,” says Marium. “When we were just kids we could not spend much time with him because of his busy schedule, and we had to move from place to place for his postings, yet he always compensated us for that by trying to bond with us whenever he could. We have always been so close to him, not only us, his grandchildren are also very fond of him and emotionally attached to him”, she adds. Even at a time when he is physically unwell, we still see the hero in him, says Lubna adding that Nooruzzaman is extremely idealistic and also supported underground left-leaning politics. “Many noted left-leaning politicians have stayed at our place many times, the discussions amongst them, their philosophy and political perspective incites a progressive way of thinking among us”. A loving, inspiring father, with his three children. Lubna also says, “My father never wanted any reward from the country for his good deeds, he never expected honour or appraisal. We often see freedom fighters demanding extra-facilities for what they have done in 1971, but I've seen my father always living with dignity. He always considers himself privileged that he could take part in the liberation war”. 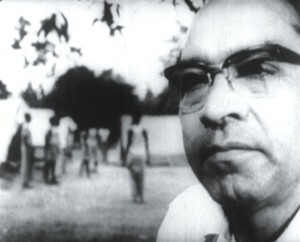 Quazi Nooruzzaman refused the Bir Uttam award that he has been given for his role in liberation, as he believed the liberation war was fought by all the people of Bangladesh. These awards for bravery are given to paid soldiers and he did not fight the battle as a paid soldier. Dhaka University Professor of English, Kaiser Haque, who also fought under him during 1971 shares one of his conversations with Quazi Nooruzzaman. “It was the end of May in 1971 at a youth camp in Sector Seven. He heard I was a student of literature and he asked a number of relevant questions to my discipline, his depth of knowledge amazed me, and it was evident from his questions that he was a learned man”. The freedom fighter, who nearly faced death during the war and gained victory, is now frail with the burden of age and ailment leaves his dream unfulfilled when he looks at today's Bangladesh.